J.V. 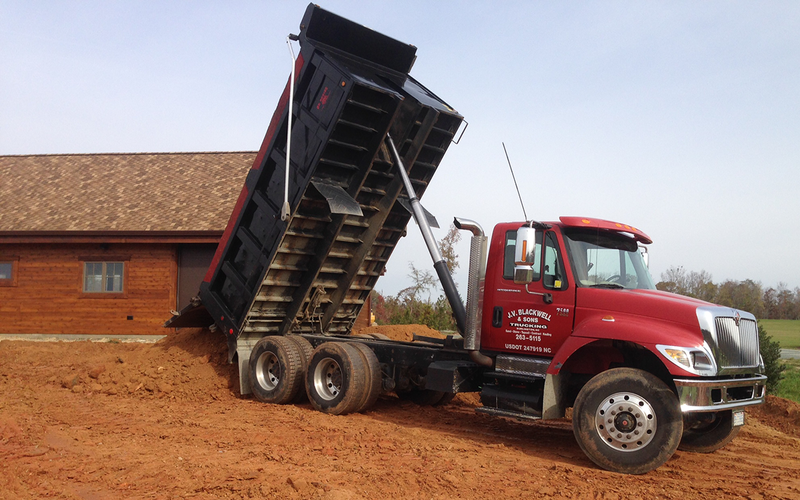 Blackwell & Sons Trucking, Inc. has proudly served the local community in all its residential hauling needs for over 18 years. Material prices are based on each individual material supplier. *Outside of the Burlington City limits: An additional $2 per mile, one way. This is a video of stone being spread on a residential driveway. No residential job is too small or too big for J.V. Blackwell & Sons Trucking. Contact us today to discuss your residential project.